As we predicted back in April, citrus ciders are a total thing this summer — further proof that the industry is hell-bent on innovation and product development. Let’s be clear, because sometimes we get flak for talking about anything but the most straightforward heritage craft ciders: There are different levels of quality and overall awesomeness when it comes to flavored ciders. Yes, there’s alco-pop, basically just grown-up soda and, you know what? We’re not here to judge that. But indeed, we are in pursuit of products that shoot higher, with superb cider as the base and real, actual fruits, herbs, etc. as the add-ins. And, happily, that kind of thing isn’t too hard to find these days; even brands that are focused on heirloom, foraged and forgotten apples are rocking out other flavors for those evenings and weekends when you don’t want to particularly ruminate over your beverage as much as enjoy it with gusto as you live your life. 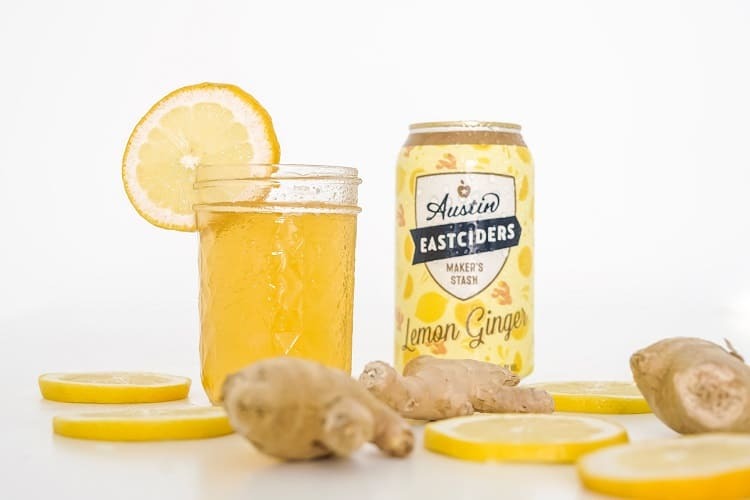 So, here’s another new citrus cider that we’re crushing on for steamy evenings and porch hangs: Austin Eastciders Lemon Ginger, part of its Maker’s Stash series. This limited-edition sipper starts with bittersweet apples zested up with a major hit of lemons and a playful bite of fresh ginger — no artificial ingredients or colors involved. Lemon Ginger pours a cheerful daffodil yellow and delivers a serious punch of citrus brightness for a refreshing and senses-awakening cider shandy experience. We’re happy to report that our videographer, a real “beer person”, loved it. This would pair well with nice, little, fried summer appetizers, like crispy fried shrimp, tater tots, veggie fritters or fried squash showered with fresh mint, and savory meat dishes, like hot dogs, grilled sausages or anything with bacon. Beaching it? Lemon Ginger would also be excellent with freshly caught, grilled fish or anything with lobster (sorry if you’re suddenly feeling a wave of hunger!). 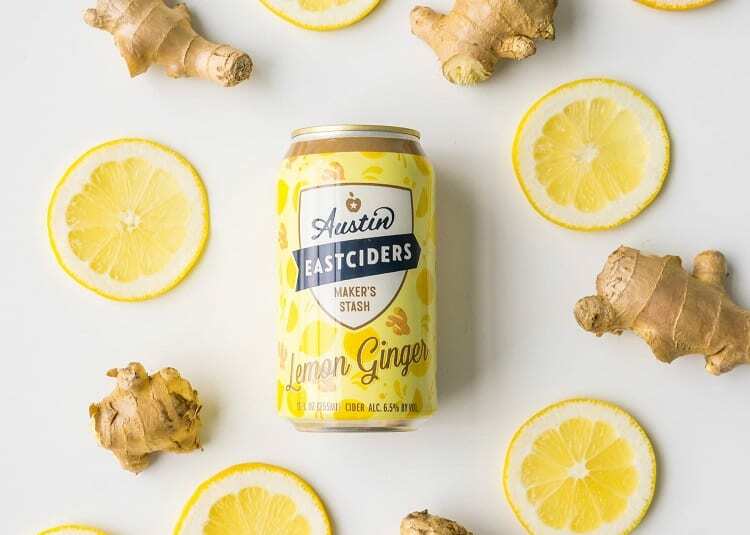 Find Austin Eastciders Lemon Ginger in six-packs in Austin and Dallas, Texas and New York, and on draft at The Collaboratory in Austin. If you wrangle a six-pack and are in a mixology mood, try out this cocktail, developed by Chad Van Selus of Hank’s in Austin, Texas. Add Deep Eddy Grapefruit Vodka and Ginger to shaker glass. Strain into lowball glass with one large ice cube. Top with Austin Eastciders Lemon Ginger and stir. Find Austin Eastciders taproom, The Collaboratory, at 979 Springdale Rd., Ste. 130 in Austin, Texas; phone: (512) 538-0126.